In any elementary book on chess you will find enough to make you understand what really constitutes an advantage over the board. Things like controlling the centre of the board, bringing the minor pieces into play early in the game, avoiding unnecessary pawn moves and queen sorties are some of the basic ideas that chess writers and teachers attach much importance to. Then they will tell you not to keep the king in the centre for too long, and to refrain from moving the same piece many times in the opening. All these are the basic tenets of classical theory which still hold good. But the mystery of chess is indeed unfathomable; the apostates are known for their habit of violating theory and still win beautiful games. For example, the concept of centre control has undergone considerable change over the decades. There are some standard openings today in which Black deliberately allows White to have a broad pawn centre in the hope of undermining it with timely counterblows. Thus the King's Indian Defence has emerged as a standard opening system, despite the fact that the second player is conceding too much ground in the centre. 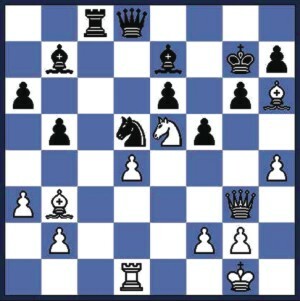 There are many other opening schemes for Black to invite the first player to set up a broad pawn centre which can turn out to be over extended. The classical theorists also value the two bishops as a potent weapon . Again this has a lot to do with the open positions which usually arise out of the orthodox openings. No doubt , two bishops can be very strong, but other factors should influence this assessment. Dr. Siegbert Tarrasch, the German master and theorist, was a leading exponent of the classical school . He was also known for his wit and great power of observation. He advised his students to " sit on their hands when victory is in sight". This might sound very humdrum, but have a look at your games and you will see his point. How many games have you lost because of undue haste in a winning position? I'm sure the number is pretty high, unless you are a grandmaster in the making. Here is a game played by Tarrasch.